With this pattern for 18inch dolls, you get an outfit for every occasion. 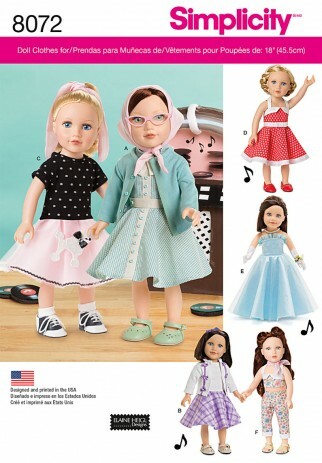 Pattern includes dress in two styles, jumpsuit, skirt, top, cardigan and ball gown. Elaine Heigl Designs.